Orders of 50 or more receive free ground shipping to one location anywhere in the US. 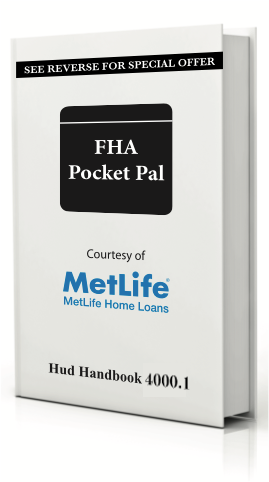 Our FHA Pocket Pal is designed to be a convenient go to source of information for those involved in real estate. The compact size makes it easy to store in a pocket or purse. It's also great as a promotional item displaying your company logo.